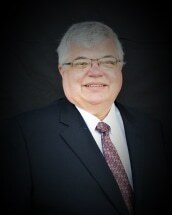 Timothy Ament has practiced law in Waterloo serving clients in Northeastern Iowa since 1988. He has substantial civil trial and litigation experience dealing in car accident, dog bites, bicycle and other personal injury cases. Tim has also represented many individuals and families in divorce, adoption, conservatorship and guardianship cases. Business transactions as well as wills, probate and estates are also within Tim's areas of practice. He has authored a scholarly work entitled "Parent's Loss of Consortium Claims for Adult Children in Iowa: The Magical Age of Eighteen", published at 41 Drake L.R. 247 (1992). That article was critical of a rule of law that prevented parents from recovering damages suffered by their children who had reached the age of eighteen years, a law which has since been charged. Tim is an involved citizen in his community, profession and church having served on boards and commissions for the City of Waterloo, for his church, and his bar association. He has served on a local parochial school board as well as being active with Boy Scouts, youth sports and Optimist Club. Tim has been married to his wife Patricia since 1986 and is the father two children. Tim grew up in the Dyersville, Iowa area and attended Beckman High School, then the University of Northern Iowa where he earned the Purple and Old Gold Award, the award for the highest grade point average in his area of study, in 1985. He then attended the University of Iowa College of Law earning his law degree with distinction in 1988. Since 1988 Tim has practiced law in Waterloo, Iowa. He has been a member of the Iowa Bar Association and a member of the Family Law Section as well as a member of the Black Hawk County Bar Association where he served as Treasurer from 2002 - 2004, Vice President from 2014 - 2015 and President from 2015 - 2016. Timothy D. Ament Law Firm, P.C., represents clients in Waterloo, Iowa, and throughout northeast Iowa.